At Bolton Town Centre Chaplaincy, based at The Hub on Bold Street, we have a dedicated team of volunteer chaplains who visit town centre shops, offices and businesses on a regular basis. Our aim is to provide a listening ear to those who work there so that they have someone who they can talk to, who will get alongside them and help share their burdens. 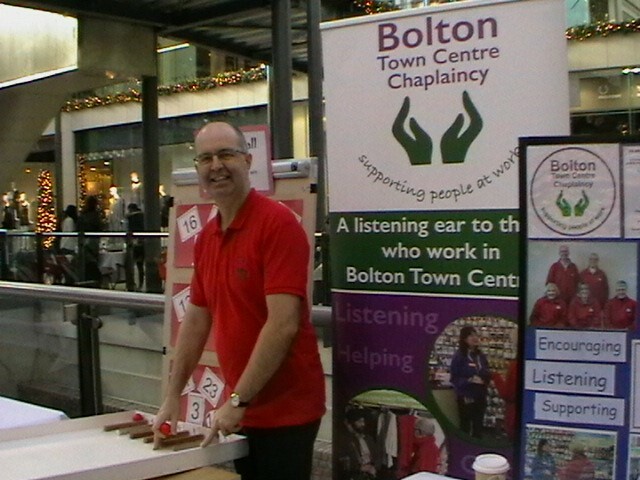 The chaplaincy service is free, and is available to anyone working in Bolton Town Centre, of all faiths and none, regardless of age, gender, sexuality or race. Our chaplains offer support by being available …. Day-to-day life can be very stressful both at work and at home. Having someone to talk to in confidence can make a difference. We are an independent, confidential listening ear and we can talk through problems, dilemmas and life choices with you. You may see us as impartial friends seeking to work alongside you to support and encourage you in your daily life. During the more difficult moments of life such as bereavement, relationship breakdown, illness etc. we are here to help. We are not a counselling service but, where agreed, can signpost people to professional bodies. At times during the year we organise events in the various shopping areas in the town centre such as carol singing and children’s activities in order to support staff by increasing footfall. And, on occasions, we assist shop and businesses with their own events. We are able to pray privately for individuals and we regularly join with the faith communities in Bolton to pray for people and situations locally, nationally and worldwide. The chaplaincy works under the banner of the Greater Manchester Industrial Mission (GMIM– charity no: 1091274), in partnership wit Bolton Christian Community Cohesion, and is funded by all main church denominations and local trust funds.The team receives training and support from GMIM and is part of a network that visits many workplaces and town centres across the country. 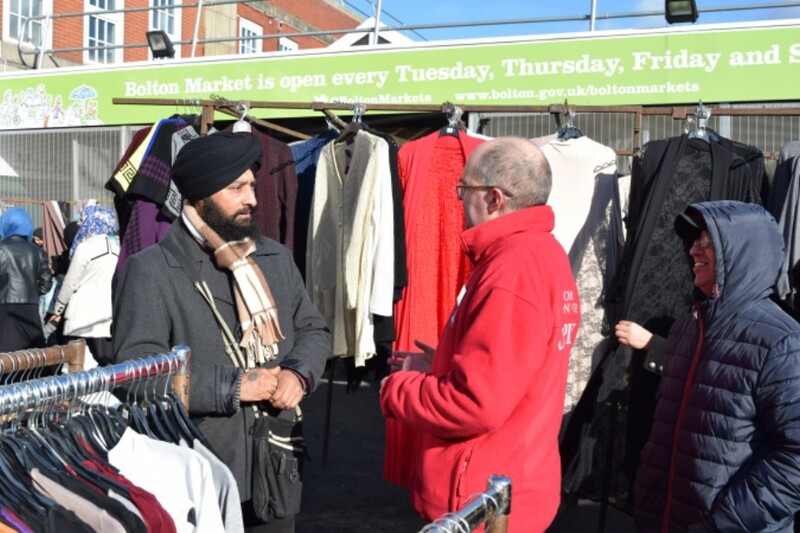 We are a multifaith chaplaincy working closely with the ‘Christians Together in Bolton Town Centre’, Bolton Interfaith Council and representatives from the Muslim, Hindu and othernfaith communities. We encourage understanding and respect between people of all faiths and none. 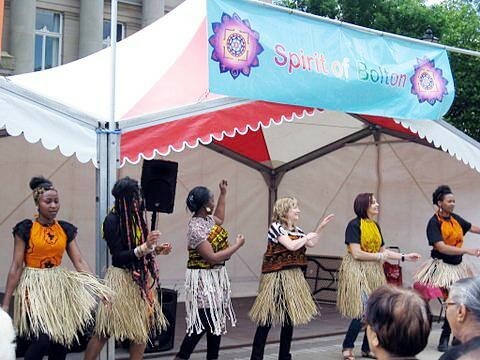 The Chaplaincy supports events and celebrations within the town centre such as the ‘Spirit of Bolton’, the Remembrance Sunday civic event , Bolton Food Festival and the ‘Passion for Bolton’.